A delayed site collection is not a special type of site collection. Frankly it is normal site collection, but template choosing is delayed. This is why it is called “delayed”. The template must be chosen when entering collection for the very first time. 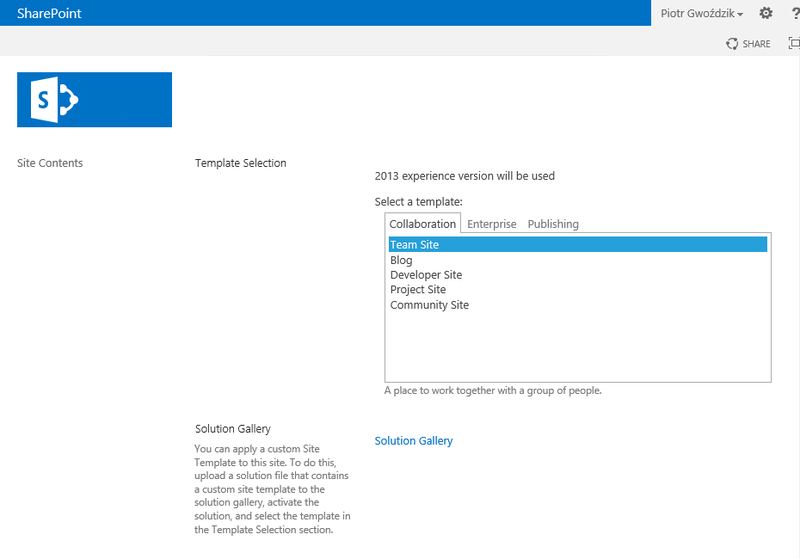 Below is the screen shot of the template chooser site when entering delayed site collection for the very first time. The process of creating such collection is the same as creating i.e. Team Site collection. Specify title, description, URL, etc. As you can see the process of creating delayed site collection is limited to choosing right option from Template section. All you have to do in PowerShell is to skip “-Template” parameter when calling “New-SPSite” script.